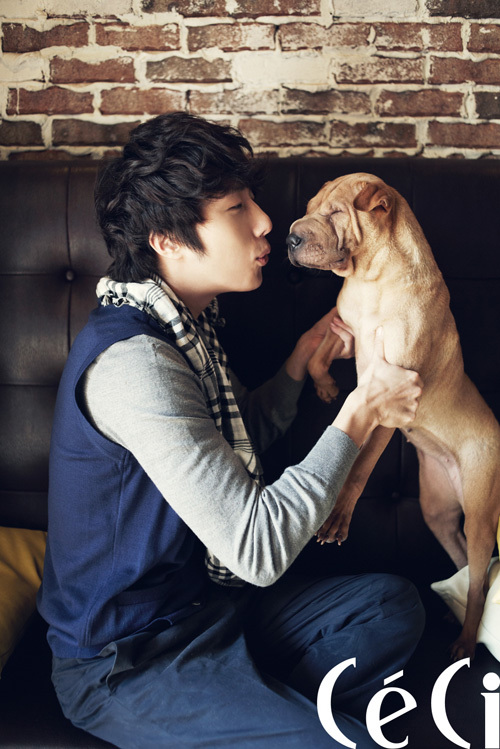 Freaking adorable. Nope, it’s not only the owner, but the dog also. 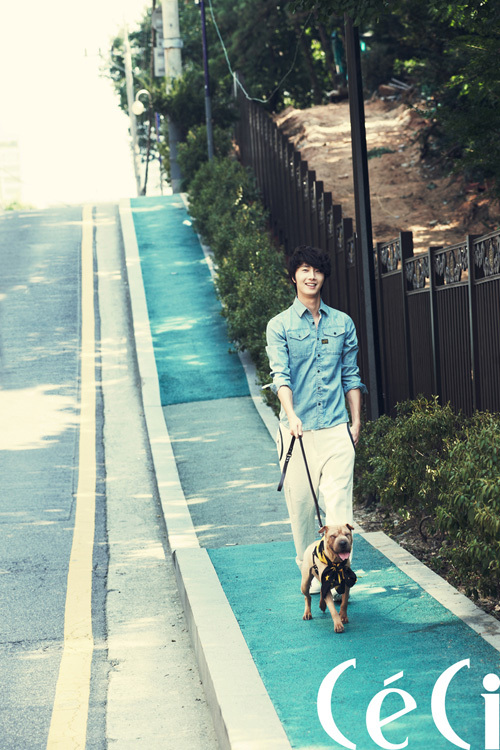 Can I have both of them in my pockets? 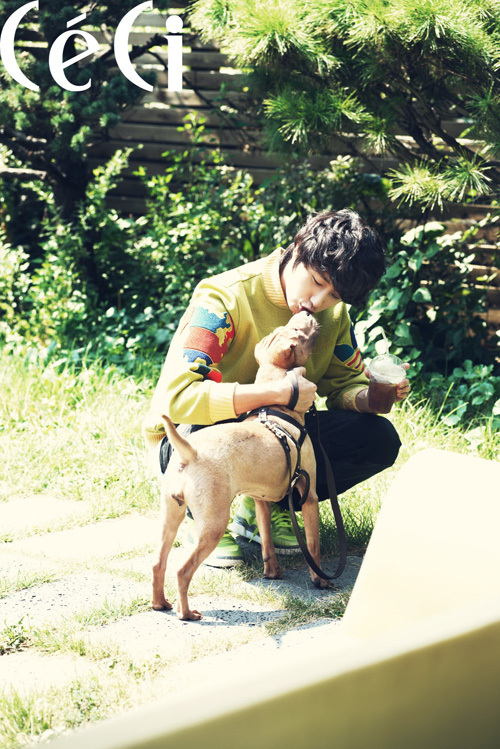 Ah Woo was brought together with his master alias big brother for another photoshoot for Ceci magazine. 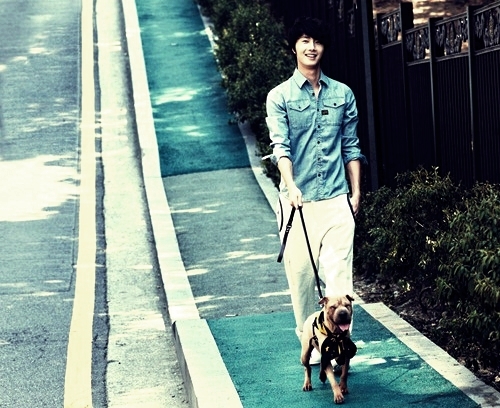 Healthy Ah Woo has grown well under the best care of Il-Woo, who shows his endless love towards the dog.